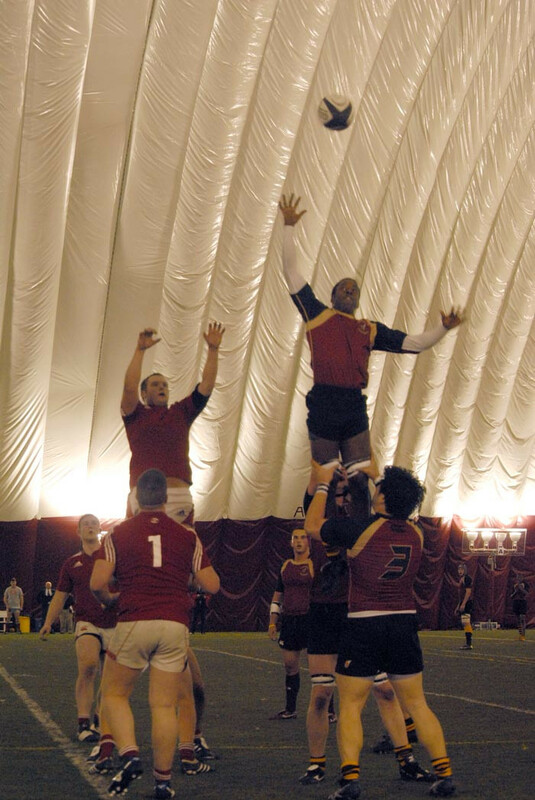 The Concordia Stingers men’s rugby team began preparations for the upcoming 2012 season with a 15-5 victory over Royal Military College in exhibition play on Sunday at the Concordia Stinger Dome. 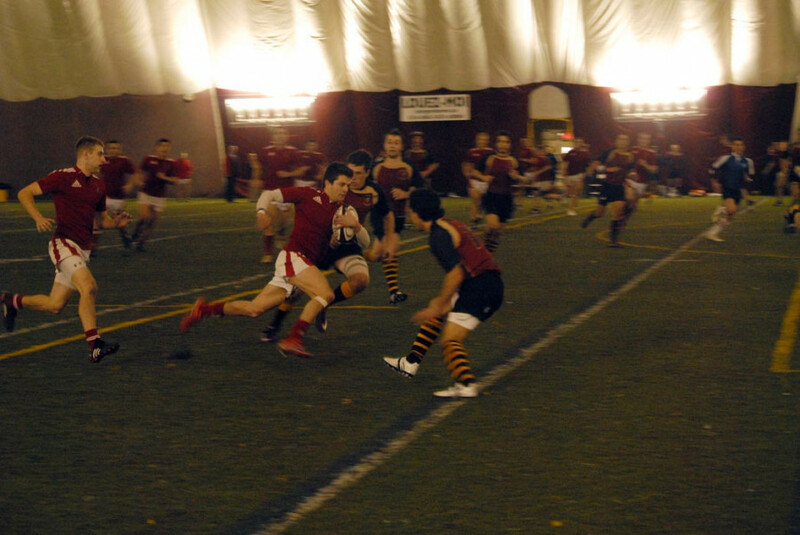 Alex Desourdy, Kyle Sutton and Jimmy Bang all scored tries for the Stingers. Some impressive defense by the Stingers prevented RMC from scoring on several occasions. RMC eventually managed to get on the scoreboard, but Sutton and Bang put the Stingers ahead for good. Head coach Clive Gibson was happy with the effort, but felt the team still has work to do before the new season starts in late August. Winger Fred Kacou, who is going into his second-year, was also happy with what he saw from the team.